Zenith Press, Illustrated Edition, 256 pp. A few years ago one of my rare bookworm students asked me for a list of suggestions for “adventure” reading. But when I gave it to her, she seemed disappointed. When pressed, it seems that she thought that “adventure” meant “fantasy adventure” and that I was going to suggest my favorite Tolkien-esque volumes. “I don’t like hiking,” she said. “It’s not real adventure.” “If you ever run into a bear in the forest, you will have plenty of adventure,” I told her, thinking of the heart-racing terror and wonder I had experienced. “A bear isn’t a dragon,” she said glumly. Despite my frustration with this answer, she got me thinking about how similar travel and adventure books are to the “fantasy” genre, both of which I teach as a college professor, and both of which I spent decades of my life eagerly devouring. This makes sense, since “travel and adventure” books were one of the genres synthesized with fairy-tales by Tolkien to create what we think of as modern fantasy. Both usually center on quests, with the stages of Joseph Campbells’ Hero With a Thousand Faces equally applicable. The necessity of describing exotic environments and characters is identical. And in the best cases, the book creates a permanent legend in the reader’s mind. Harry Potter and Frodo Baggins might be “legendary” but Theodore Roosevelt and Mark Twain also came to prominence by becoming characters in their own adventure stories. A quick glance at reviews demonstrates that the most common word used to describe travel and adventure tales is “inspiring.” Though true, this go-to term has pushed these tales closer to “self-help” and away from literature. It may be one reason the genre has declined from its golden age in the 18th and 19th centuries, when it outsold all other types of books. Or it could be that we are no longer as interested in exploration, or that Tolkien and his heirs have sucked all the air out of the room. Perhaps a new genre name is needed to describe them, such as “true-life fantasy,” in order to sell them to teens and other bibliophiles. Though tales of harrowing journeys might inspire similar exploits, for most of us these are simply thrilling reads. The fact that they “really happened” just makes them more exciting, in my mind if not my dragon-obsessed student’s. I will never go on an epic quest to drop a magic ring into Mount Doom. Likewise, I have never climbed a Himalayan mountain, trekked through the Arctic, or handled a small craft in an Atlantic storm. In fact, my actual sailing experience is limited to a few summer days in small fiberglass Sunfish on North American lakes. Now in middle age, I know I will never do more than that. But this only means I can enjoy the sublime fantasy of an adventure book like Joshua Slocum’s Sailing Alone Around the World even more. Born in rural Nova Scotia in 1844, Joshua Slocum could smell the sea air from his house, and he learned to sail in the Bay of Fundy. Leaving home at sixteen, he spent five years sailing the oceans of the world, finally settling in California and becoming an American citizen, working briefly for the San Francisco Bee. However, that was only the beginning of his career on the world’s oceans. 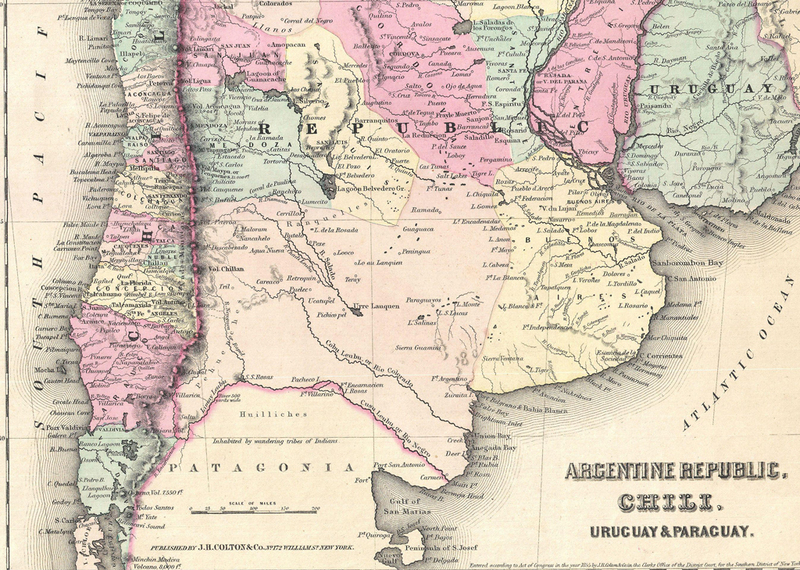 His wife sailed with him for thirteen years, bearing him children at sea, and finally dying in Buenos Aires. A second marriage was unsuccessful, and with his children mostly grown, Slocum set off from Fairhaven, Massachusetts in 1895 in a ship he built himself, The Spray, with the intention of sailing around the world single-handed. One of the perils of writing a seafaring book is including too much technical jargon. But Slocum avoids that nicely. The opposite can also be true, and I’ve read some books that seem like the author was out for a cruise that any fool could have accomplished. Slocum includes just enough information to show the difficulty of sailing the seas by himself, especially sticky areas like Cape Horn, without overwhelming the reader’s sense of the unfolding events. 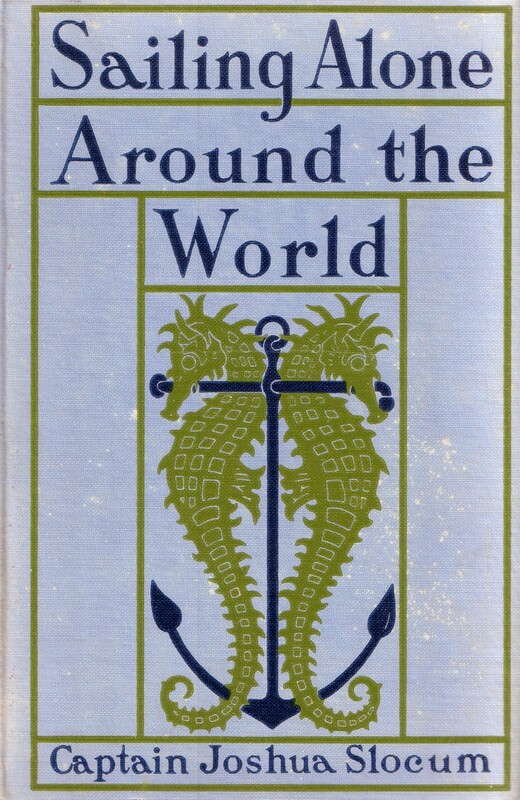 Cover from the 1900 edition. After returning in the midst of the Spanish-American war, Slocum became a celebrity. He met fellow travel and adventure writers Mark Twain and Teddy Roosevelt. Then, in 1909 he took The Spray out again, nine years after Sailing Alone Around the World made his journey a legend. He was never seen again. But his “true-life fantasy” story lives on in this unusually readable book, a tribute to the stubborn powers of a man in love with wayfaring. “The days passed happily with me wherever my ship sailed,” he said. May we all find such joy. Eric D. Lehman teaches creative writing and literature at the University of Bridgeport and his work has been published in dozens of journals and magazines. He is the author of twelve books, including Shadows of Paris, Homegrown Terror, and Becoming Tom Thumb. Follow him @afootinconnecticut, and visit his website at www.ericdlehman.org. During dark times, we are drawn to dark books. Threats of chaos and futility skyrocket sales of nihilistic fictions like Joseph Conrad’s Heart of Darkness. Many years ago, influenced and inspired by several years of reading Arctic and Antarctic literature, I took a January hike in the northern mountains. I was forcefully discouraged from reading by parents and teachers, because I was not reading the “right” things, and furthermore was not reading them in the “right” way. Edmund Gosse’s Father and Son: A Study of Two Temperaments was anonymously published in 1907 and faced immediate backlash in England due to its apparent criticism of Victorian morality.